Wednesday, Apr. 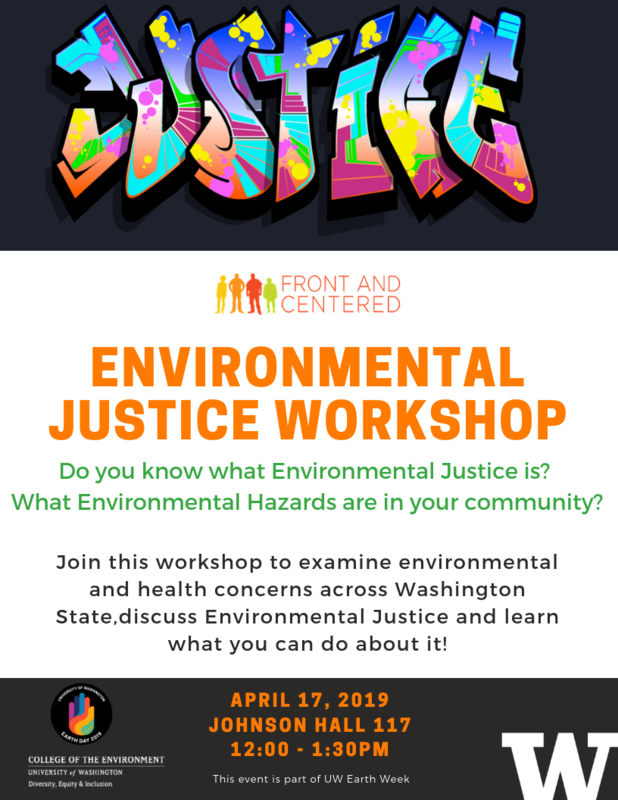 17, 2019, 12 – 1:30 p.m.
Do you know what Environmental Justice is? What Environmental Hazards are in your community? Examine environmental and health concerns across Washington State, discuss Environmental Justice and learn what you can do about it!